I recently concocted a drink that captures that sweet, bright, tart burst of flavor in an autumn apple. The trick? Shrub. (Not familiar with shrubs – check these guys out.) The shrub factor brings sweetened fruit and vinegar into the equation, creating that prefect flavor balance you find in a good apple. I punched my cocktail up with some fresh thyme, gin, apple cider vinegar, and pippin apples. If you’re scared, don’t be. I was, but you shouldn’t be. I promise, it will all come together in perfect harmony. This cocktail is a game changer. In a small pot, bring to boil 1 cup sugar, 1 cup water, and 2 apples, sliced. (Pippin, Granny Smith, or other tart apples work well.) Boil the mixture for one minute with the lid on; simmer for five minutes; let stand off the heat until it cools. 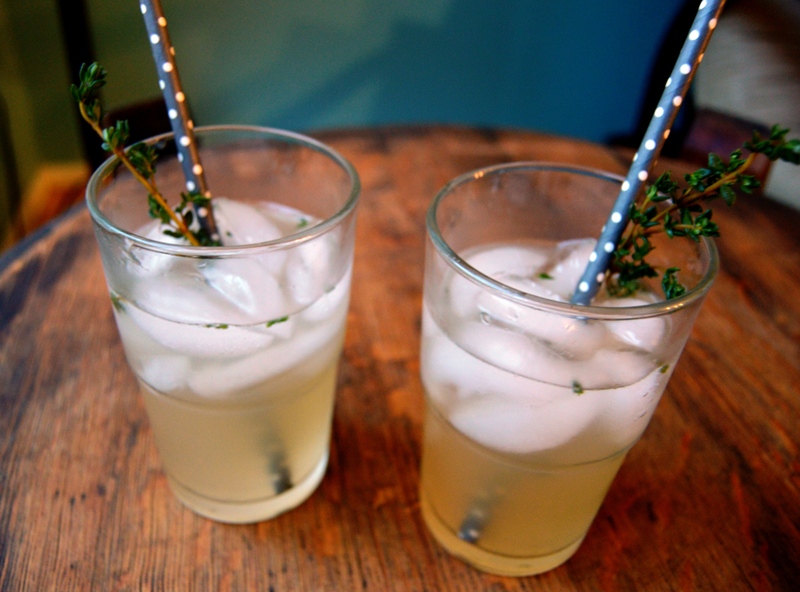 Combine the gin, simple syrup, vinegar, and thyme leaves in a cocktail shaker with plenty of ice. Shake for a minute until it’s cold. Pour into a glass with ice. 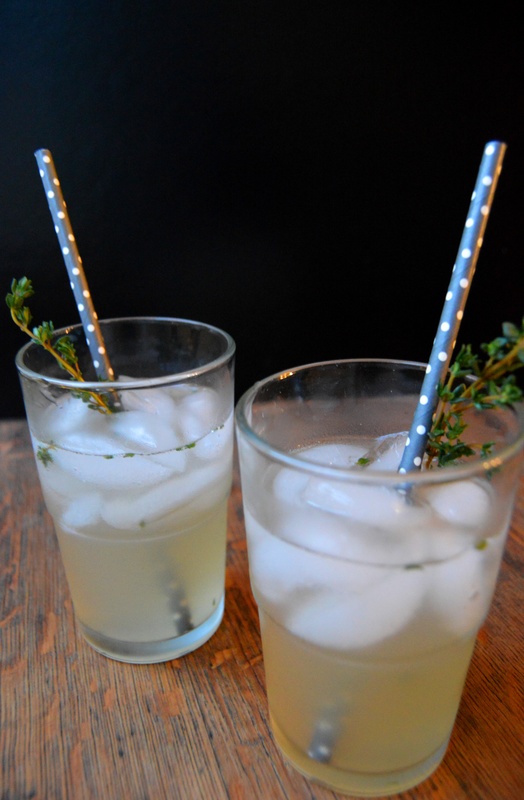 Top with a splash of sparkling water and garnish with a sprig of thyme and/or an apple slice. Enjoy! And if you’re in need for more fall recipe ideas, check out Fiesta Friday. The perfect autumn drink! Looks great, I need to make it soon! Aww thanks, Brian! Definitely give it a try! I love your attention to detail – great to find an apple-loving woman! Lovely idea for a drink, too!